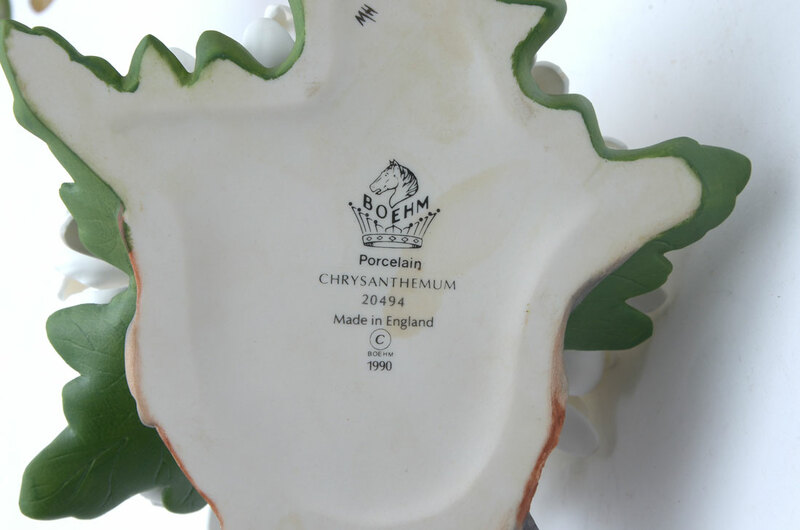 BOEHM PORCELAIN PINK PEONY & CHRYSANTHEMUM FLOWERS: 2 pieces Boehm porcelain to include 1) Chrysanthemum 20494, 3'' h. x 5 1/4''. 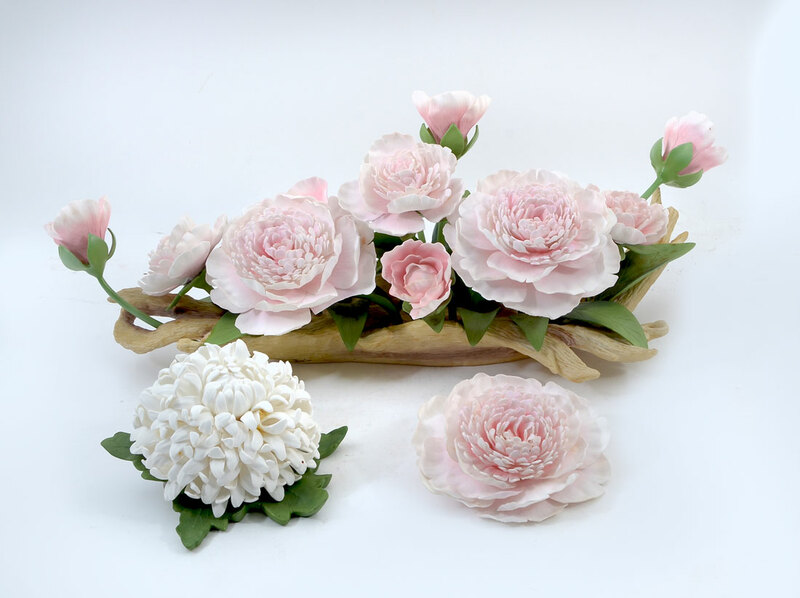 2) Pink Peony Centerpiece, F195 limited edition #105, 7'' h. x 21''. Signed on base. CONDITION: Pink Peony is in unfortunate condition with chips, large center flower has come off and has petal damage. Chrysanthemum has loose petals. Sold as-is.